Who doesn’t love teddy bears?! They give us a warm squishy feeing inside and a sense of security…. and they make us smile! 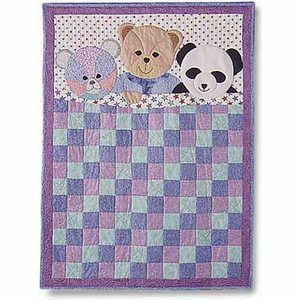 My Three Bears measures 43″ x 53″ and would make a perfect baby or toddler quilt. A little one can cuddle with three favorite friends instead of just one! Adjust the colors of the patchwork portion to coordinate with the nursery colors. Do you have a fondness for the Bear’s Paw Block? 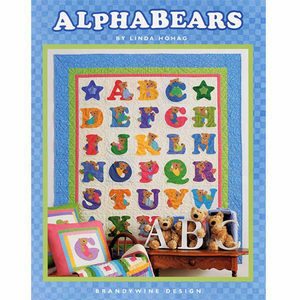 Bears And Paws is an oversized nine patch layout with trios of bears and Bear’s Paw blocks. A couple of mischevious bears have escaped to the outer border. 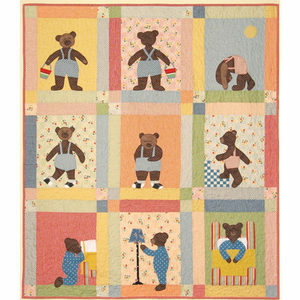 This fun quilt works as a crib quilt or as a wall hanging in the baby’s room. Teddy Bear, Teddy Bear turn around, touch the ground, show your shoe, that will do. Go up the stairs, say your prayers, turn out the light, say good night. 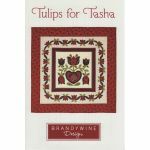 Patterns for pillows and seven quilts are included in this book by Linda Hohag. The Alphabears can be used to make an alphabet cute or use them to spell out a child’s name, or a verse, or a special message. Easy piecing and both traditional and fusible applique methods are used for these projects. 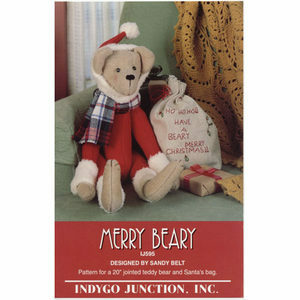 Go ahead, find a bear to fall in love with and commence sewing some comfort! Thank you for your note. 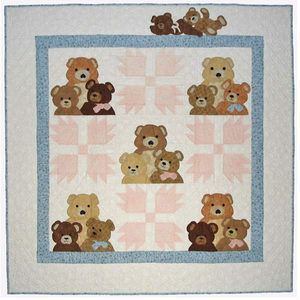 This pattern is available at https://www.quilterswarehouse.com/my-three-bears-quilt-pattern/, Please let us know if we may be of additional assistance.